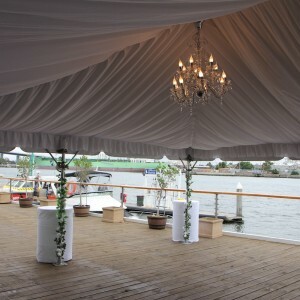 A stunning outdoor water front view was created at Pier 35 on The Yarra in Melbourne. 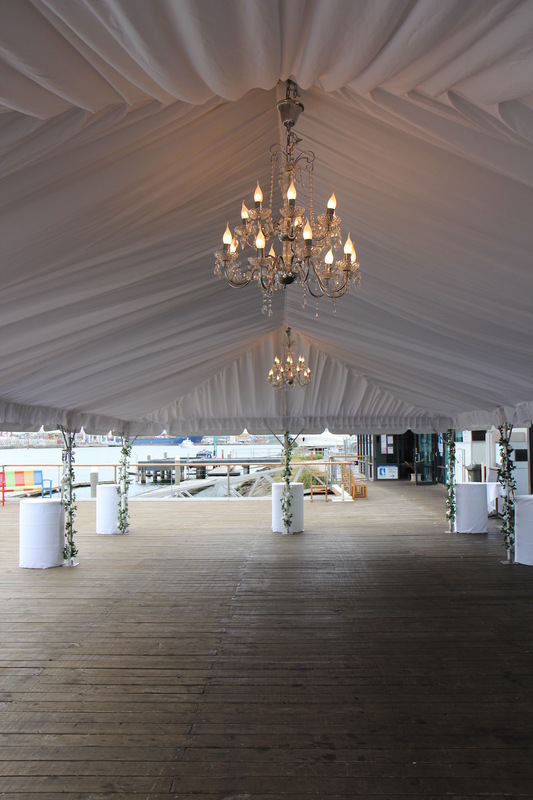 A 6m x 12m clear span marquee (with hip end) was used to create an outdoor area for wedding guests. Lined with a silk liner and large chandeliers, the marquee was stylish outdoor chill out area for guests. 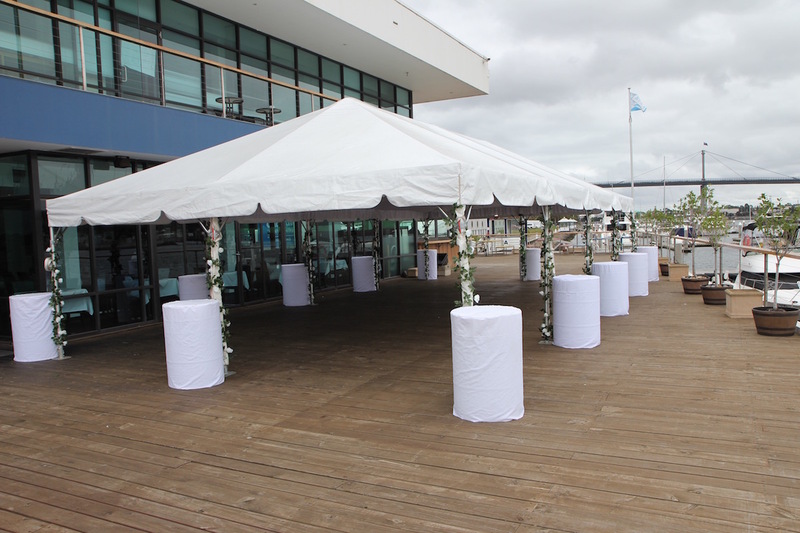 Celebrate Party Hire has a wide range of premium clear span marquees suitable for weddings, parties or your next corporate event. Our professional service includes site inspections, professional installation, premium extras and a service guarantee that gives you comfort that you are getting what you require for your event. 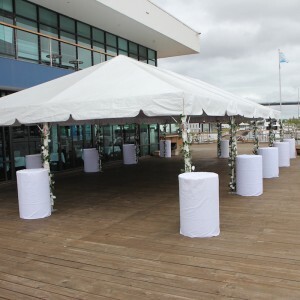 We offer a full range of clear span, frame and pagoda marquees. White and clear roof options are available, as well as your choice of clear or white walls. 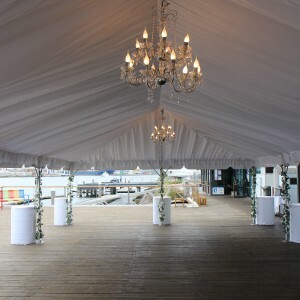 Contact us for all your marquee hire Melbourne requirements.